Pam Rudisill joined the organization as Senior Vice President and Chief Nursing Officer in 2014. Rudisill is responsible for developing and sharing clinical best practices across the organization, providing leadership to nursing executives and supporting nurses at affiliated hospitals as they provide quality, compassionate care. She also directs the Survey Management/Survey Readiness team which assists affiliates with regulatory, accreditation and certification surveys. 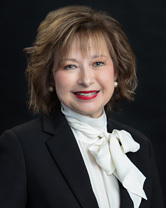 Rudisill has extensive clinical and nursing leadership, most recently serving as Vice President and Chief Nursing Executive at Health Management Associates Rudisill holds several post-graduate degrees, including a Doctorate of Nursing Practice from Duke University. She is a past president of the American Organization of Nurse Executives and has been inducted into American Academy of Nursing.